Thank you to @VisitKC for sponsoring our visit! As always, all opinions are honest and our own. I don’t know about you, but my knowledge of World War I is a little lacking. In school, we never seemed to have a lot of time to study this conflict. I’m not blaming my teachers; as a high school teacher, I know how much time is limited. Every history class I’ve had seemed to hit the highlights, but I’m not sure I understood much. I realize the history behind World War I is complicated and that a simple survey is not enough to truly understand; still, I also know that this war doesn’t have as much exposure in general as opposed to other conflicts. You can watch far more films about World War II or the Vietnam War. 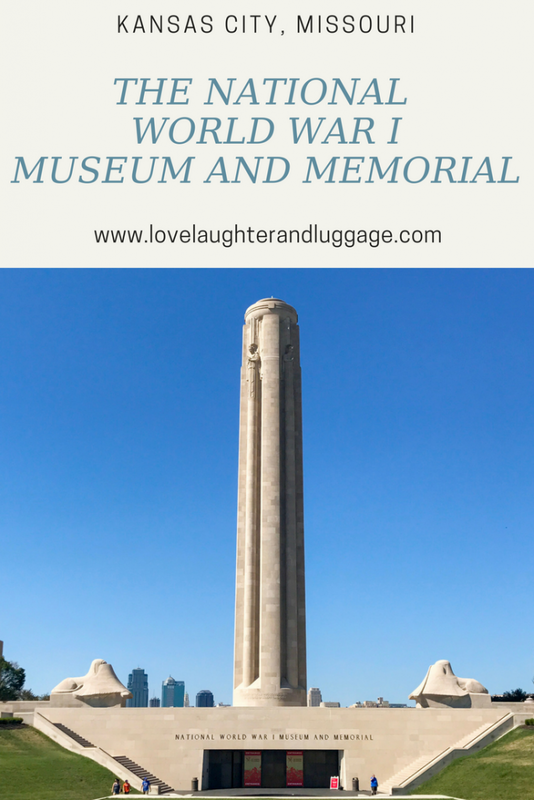 When we realized that Kansas City has a world-class museum featuring World War I, we knew we had to visit. 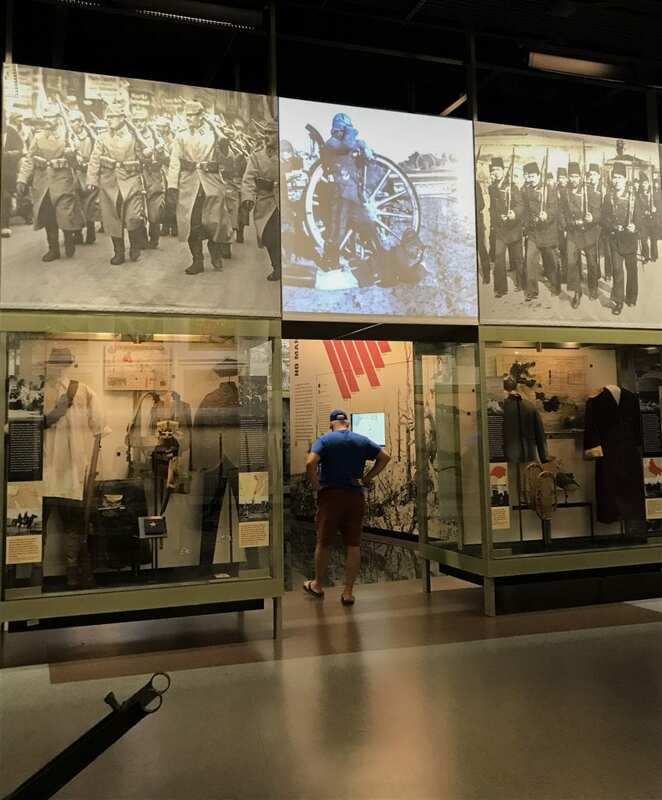 I’m so glad my family toured the National World War I Museum and Memorial. 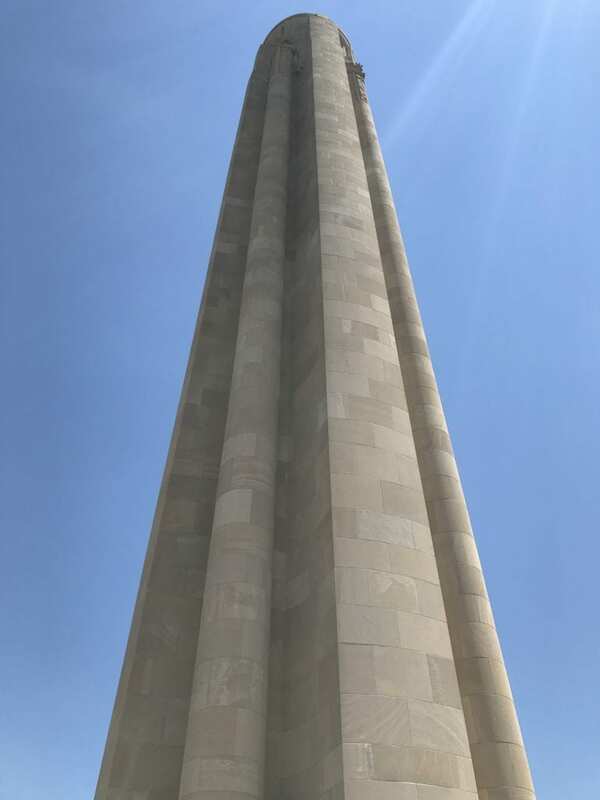 The National World War I Museum and Memorial was originally opened as the Liberty Memorial in 1926. 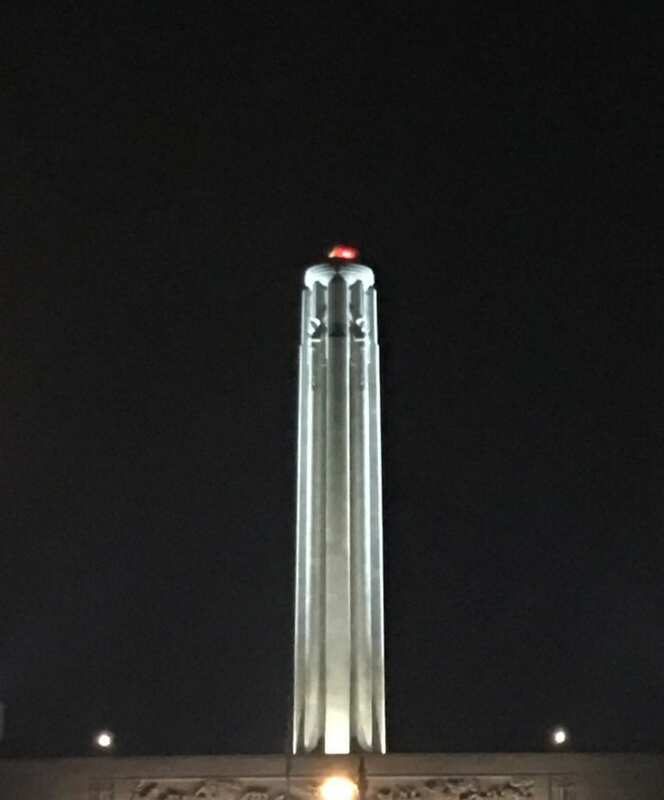 The large monument pointing to the sky is the Liberty Tower. 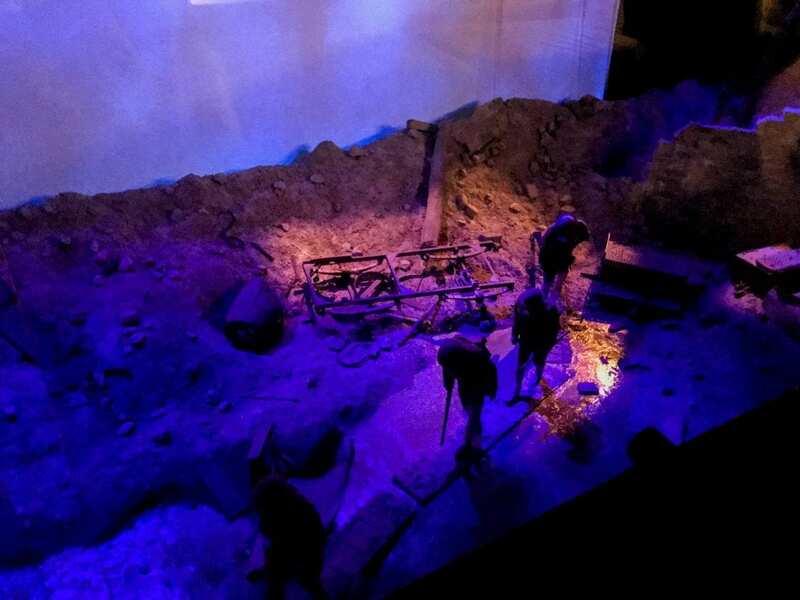 The museum has undergone several renovations over the years, and in 2006, the museum reopened in its current state, though some small additions have been completed since then. 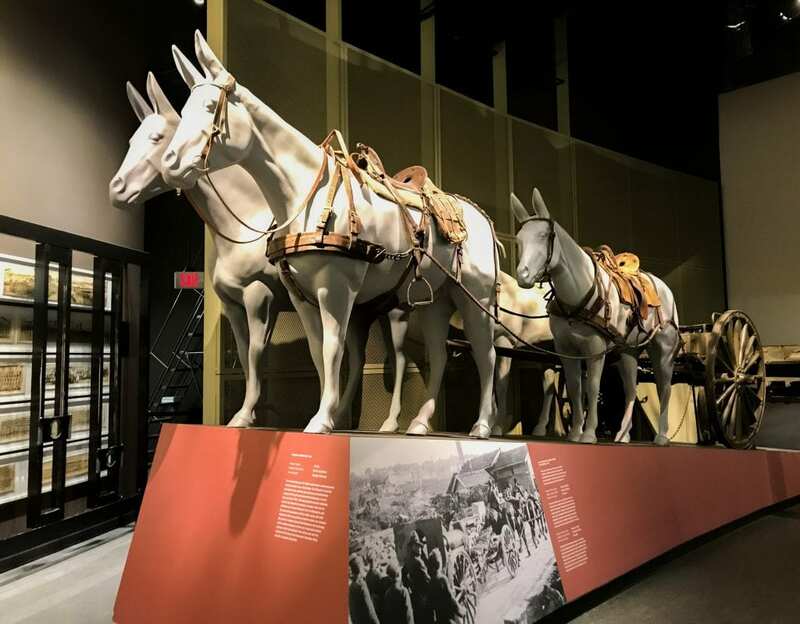 In 2004 the museum was recognized as the official World War I museum for the nation, and in 2014, it became a national memorial. 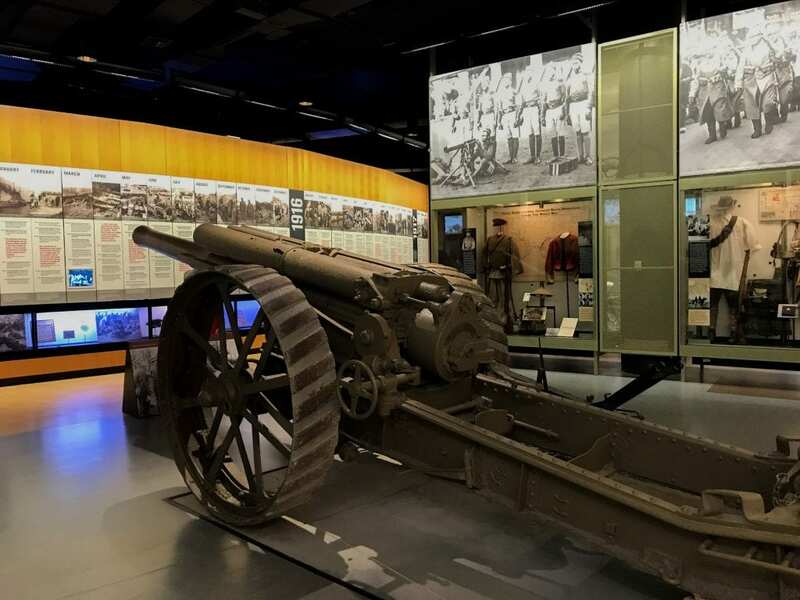 This award-winning museum is worth the visit, and even my eight-year-old daughter learned some facts about the war. 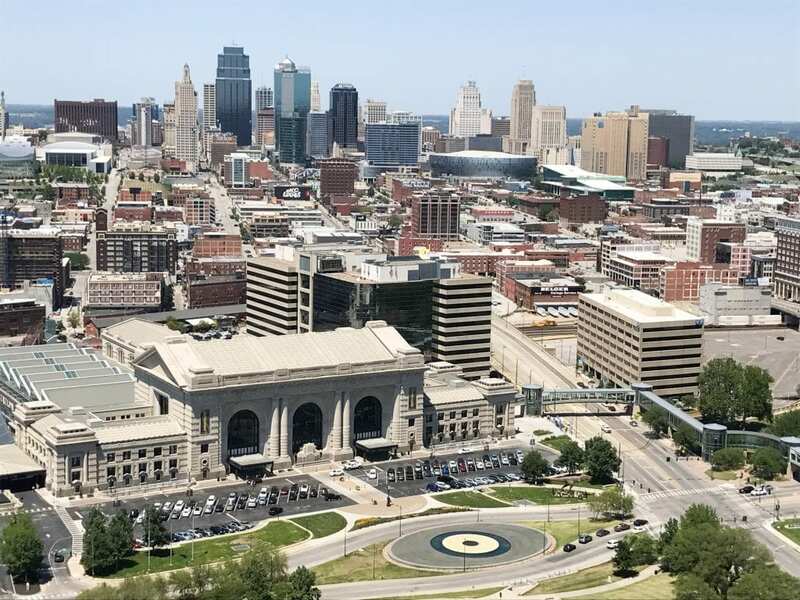 This museum is near Union Station and Crown Center, and you could certainly take the free KC Streetcar to the Union Station stop and walk to the museum. We stayed at the convenient Westin Crown Center, and you could also walk to the museum from the hotel. Since it was the warmest part of the day in July, and we had a car, we decided to drive instead. I always recommend arriving at attractions at opening if you can, but for this trip, we had multiple attractions to do in a single day to fit everything in. We did this one after lunch, and we didn’t have any difficulty with crowds on a Sunday in July. I was a little worried about seeing everything before closing. This museum has parts that close before the main exhibit, so we did things in a different order than we may have if we’d arrived in the morning. Also, if you’re looking for things to do in the heat of the summer, this is not a bad choice. Yes, you’ll have to go outside to go up the tower and to a couple of the exhibit halls, but most of the museum is indoors and air-conditioned. We decided to go up the tower first and work our way down to the other exhibits. From the main floor, you can take an elevator to the outdoor area where you access the elevator to the Liberty Tower. You also access the large stone buildings, Memory Hall and Exhibit Hall, from this area. At the foot of the tower, you’ll need to have your ticket scanned. Small groups are then allowed in the elevator. This elevator is cool! 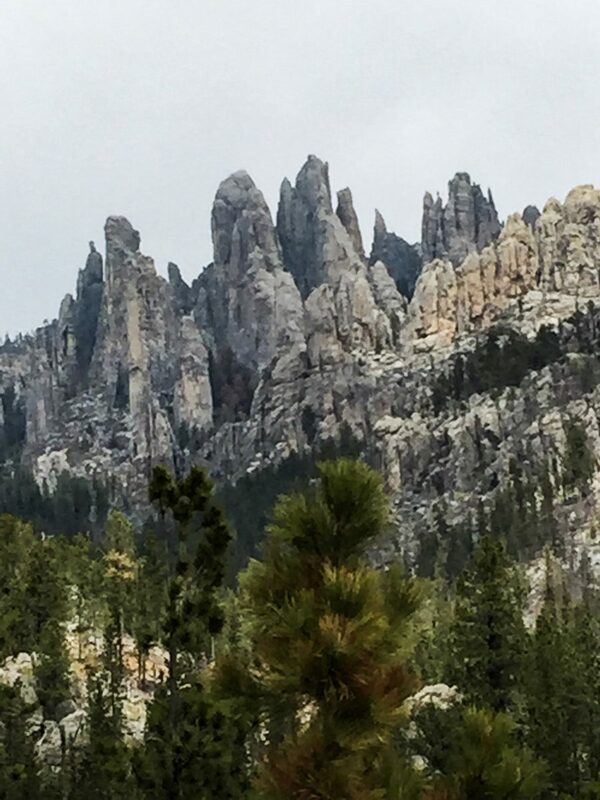 It takes you most of the way up, and then you’ll need to navigate a few stairs near the top. 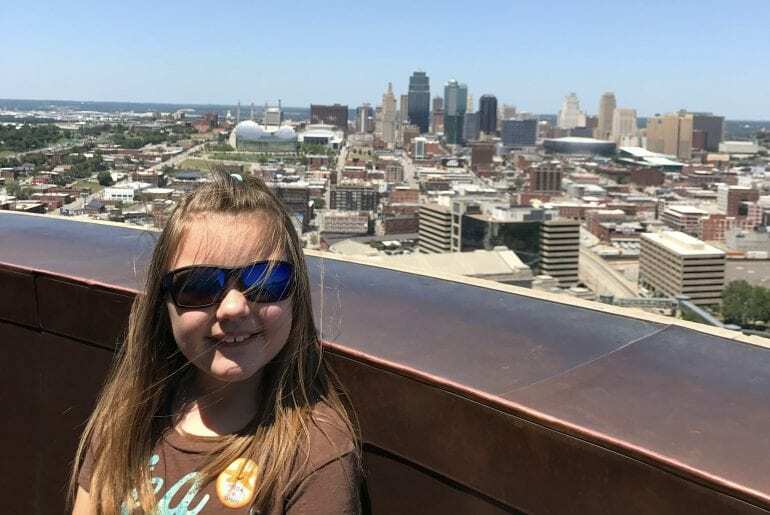 Once at the top, you’ll have some of the best views of Kansas City! Union Station is in the foreground. You can also see the covered skyway from the Westin on the right. The KC Streetcar stops near the end of that walkway. After our trip to the top, we checked out Memory Hall. 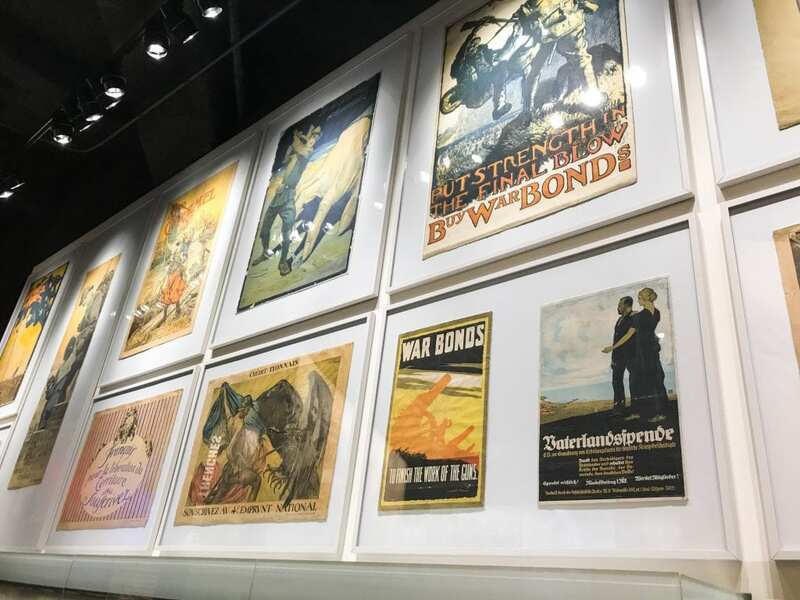 Currently, it houses an exhibit of posters used during World War I, but the best part about this hall is always there. 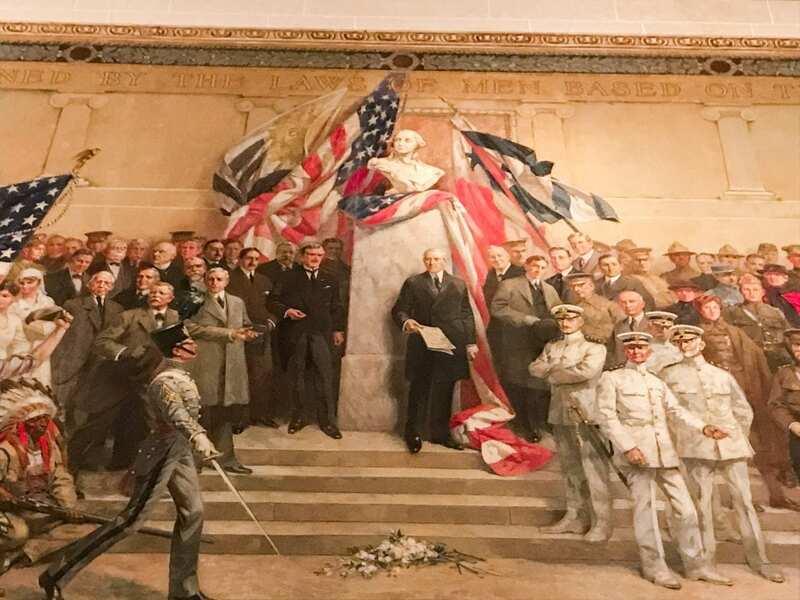 Several murals surround the room near the ceiling. We also checked out Exhibit Hall while we were at that level. 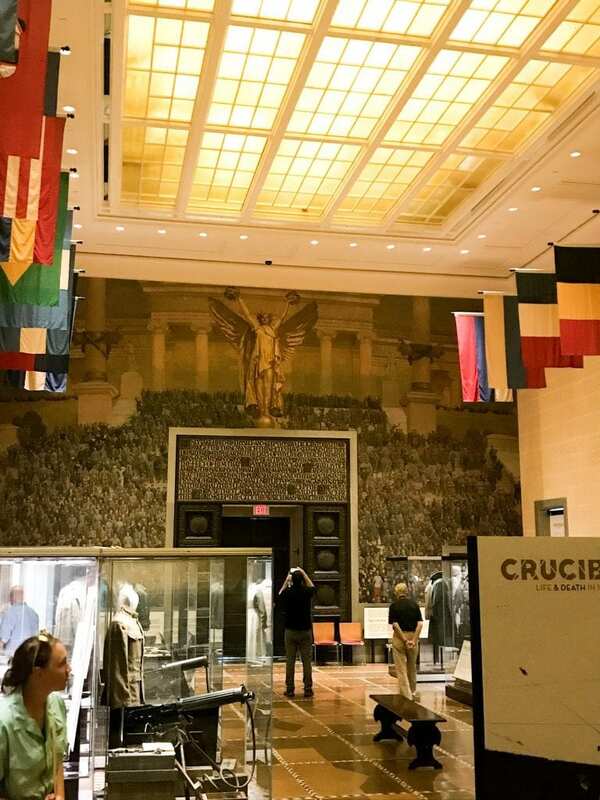 The current exhibit is called “Crucible: Life and Death in 1918.” Again, the hall is beautiful. 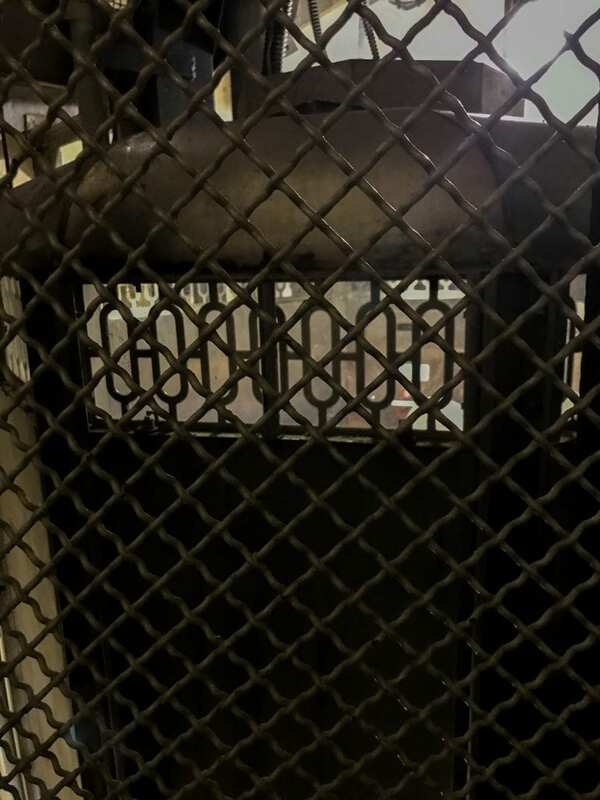 We then took the elevator back down to the main level. The Main Gallery is on this level along with along with a cafe, a museum shop, and the Wylie Gallery. To enter the Main Gallery, you cross the visually striking Paul Sunderland Glass Bridge. 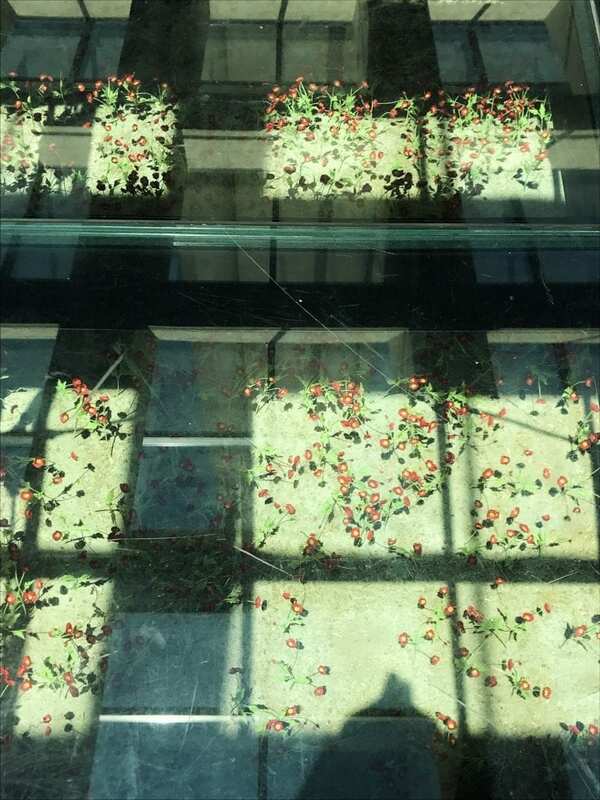 As you look down through the glass, you can see the poppy field; each poppy represents 1,000 deaths as a result of the war. The poem, “In Flanders Fields” by John McCrae, has become one of the most famous poems written during the war. 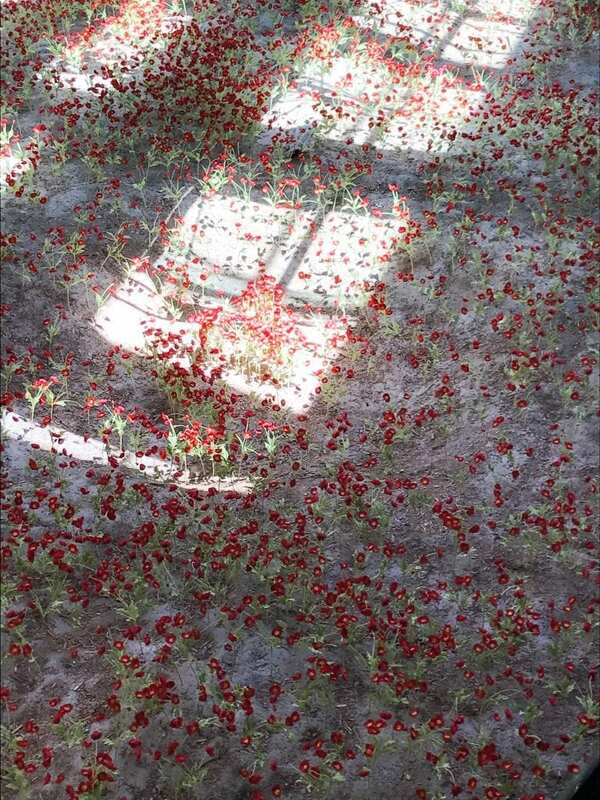 This poem tells the story of the poppies that grew where the fallen dead were buried. As I researched this a little more, I discovered that poppy seeds can be dormant and then grow again if the ground is disturbed, as what happened when the dead were buried in Flanders Fields in Belgium. If you’ve seen the American Legion handing out poppies on Memorial Day or Veteran’s Day, this is the story behind them. The view of the poppies as you cross the bridge is beautiful and poignant. Here is a side view of the poppies. The experience at the Main Gallery begins with a short film to give you some background. This film really helped me understand some of the key causes of the conflict. I somehow didn’t understand before watching the film how nationalism was a new concept in Europe at the time and how much this idea influenced the conflict. After the film, you can start your tour of the exhibits. The gallery follows a circle until eventually, you are back where you started. The exhibits are well-done and informative. There are so many things to see and take in. 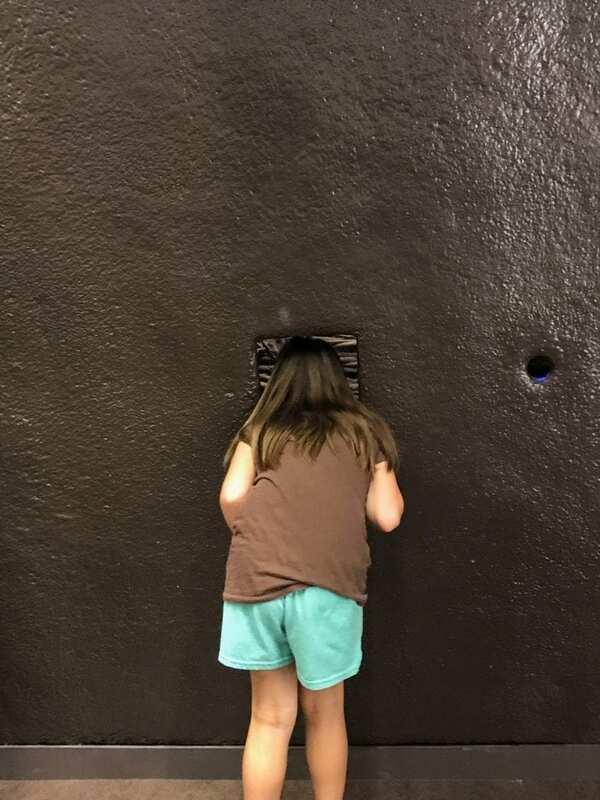 Kristin usually gets the most out of life-size or interactive exhibits, and this museum has plenty of both. 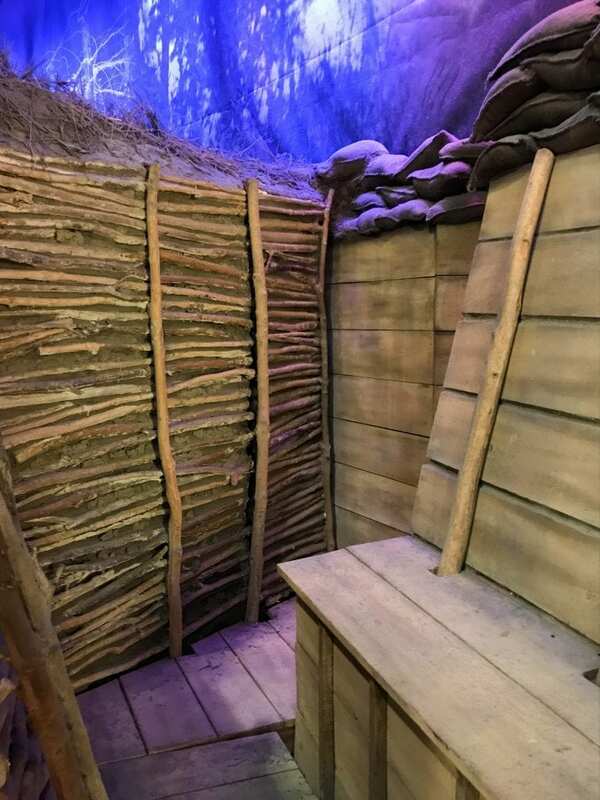 You can see what a life-size trench would’ve looked like. You can also get an up-close look at the weaponry used. 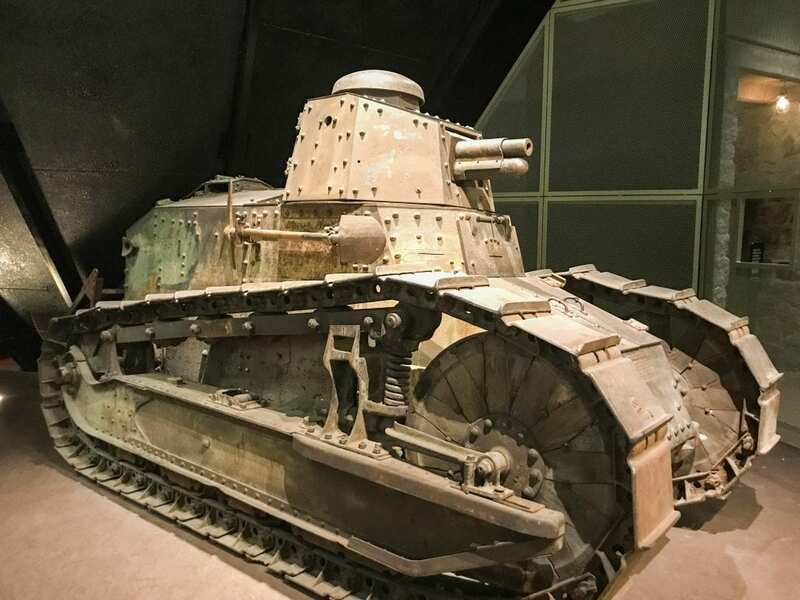 This is a Renault FT-17 tank. About halfway through the Main Gallery, you have the opportunity to watch another film. This one has props and special effects, though nothing scared Kristin in any way. Sometimes she gets a little anxious in presentations like this, but this one was fine. After this film, you just continue on with the exhibits. We completed the circle, and then it was time for the gift shop. This one is worth a stop; it has a great offering of books and other unique items relating to World War I and the museum. After we did our shopping (read: bought our required magnet), we walked towards the Wylie Gallery. On our way, we noticed a room of Living History reenactors with some World War I items, so we stopped by. 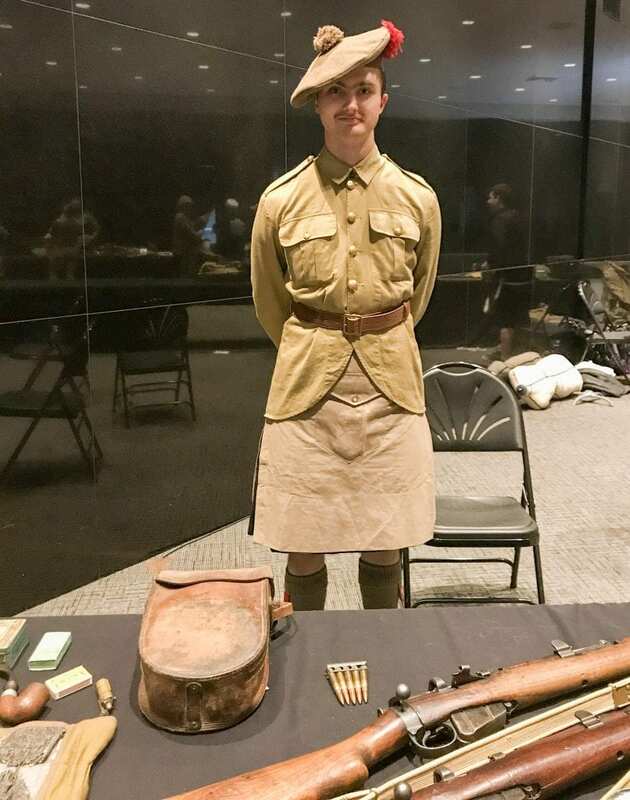 Apparently, these reenactors are available on certain days throughout the year, so check the website to see when they’ll be back if you’re interested. We then made our way to the Wylie Gallery which hosts traveling exhibits. You aren’t allowed to take photos in this exhibit, but it was interesting to read the first-hand accounts on display here. After the Wylie Gallery, we decided to end our visit. We had about 15 minutes left before closing. We’d seen everything but the lower level, but the docents told us that level was mostly for research. 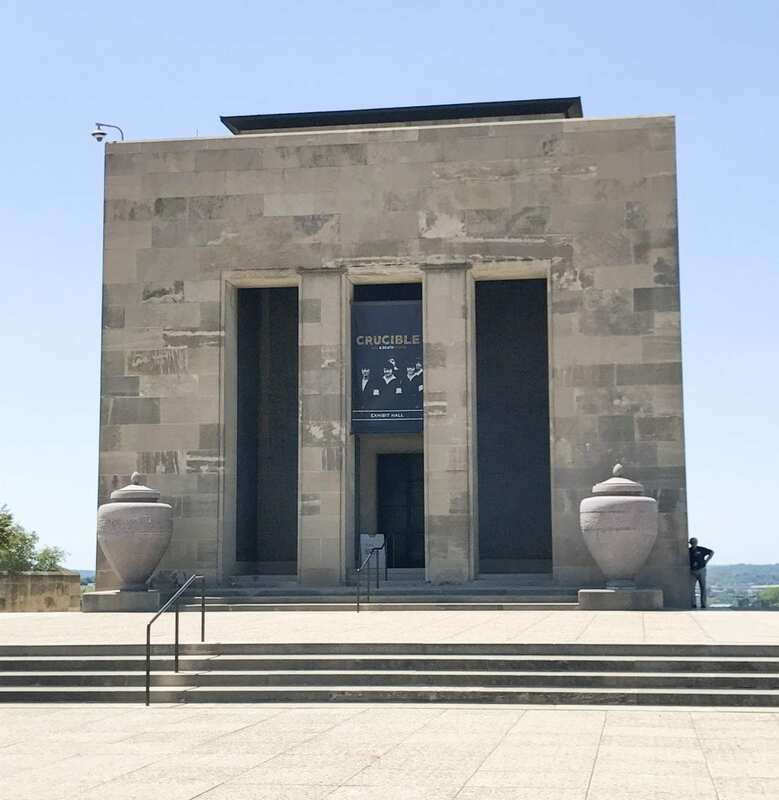 This museum really is amazing and should not be missed on a trip to Kansas City, especially if you enjoy history. I love checking out museums like this; I always learn something new. Kristin also learns little snippets of history here and there. You may not feel a history museum is something your kids would like, but you may be surprised how your kids react. The museum is also a beautiful addition to the architecture of Kansas City. 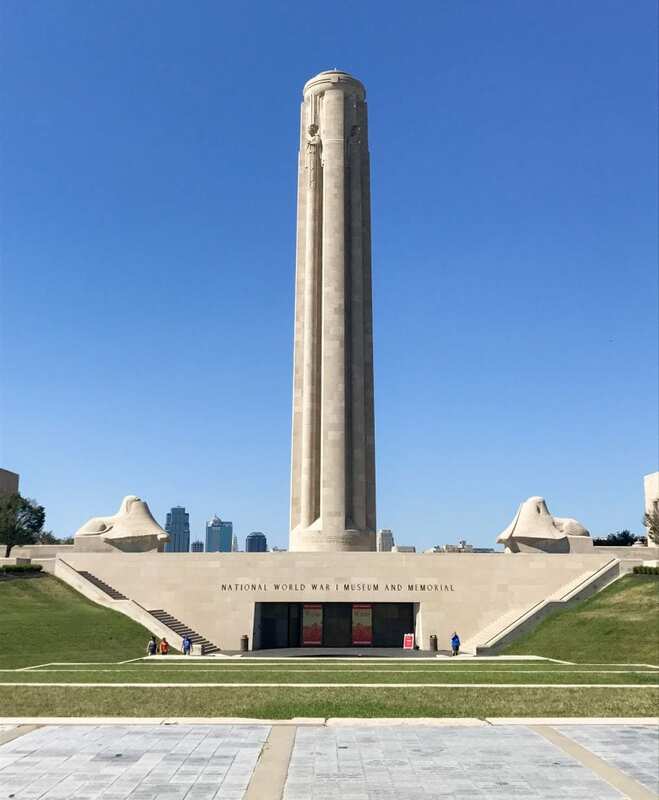 Consider making the National World War I Museum and Memorial a part of your Kansas City experience! This sounds like an interesting and educational visit. I’m loving the story behind the poppies. I had no idea! I didn’t know the whole story, either. So interesting! 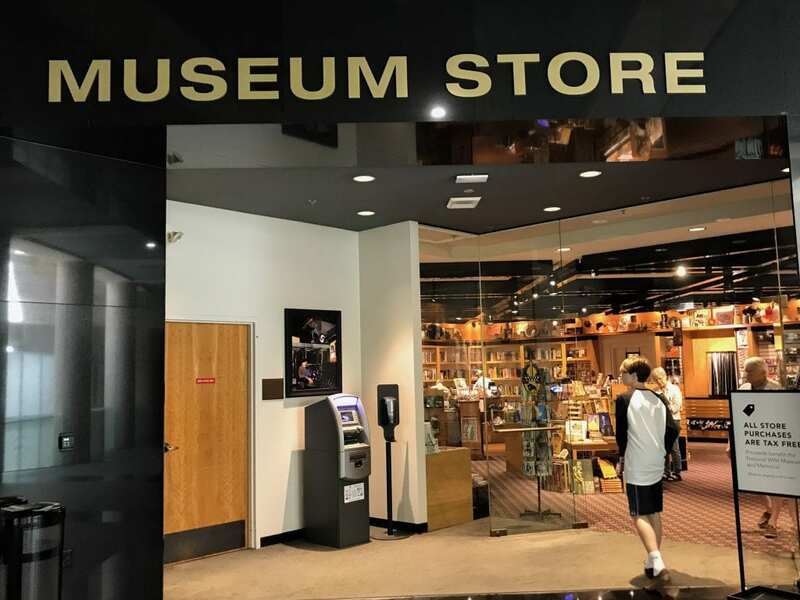 Our family will like this museum. Hopefully one day we will go that direction. I hope so, too! It’s a great museum! 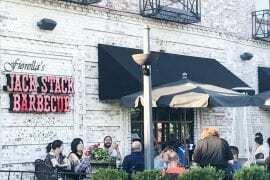 I lived in Kansas City for three years and visit often for relatives. 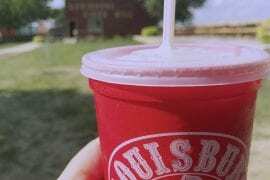 Other than eating at Joe’s Kansas City BBQ, this is the #1 THING TO DO in KC! I have been almost every year and should probably buy a membership. My favorite part is the creepy opening video with the ominous drums that suddenly stop. It really sets the mood to learn about a horrific war that really didn’t have any purpose. I am awed and humbled that so many people had to go through that hard time, and that there are very few if any left alive today to tell the story. 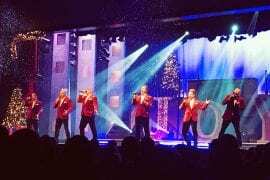 All I can say is, if you are in Kansas City, go go go! I agree! We live near Kansas City, and we’d never been to the museum. Jeff and I used to live close enough that we often had dates in Kansas City for the evening before we were married. 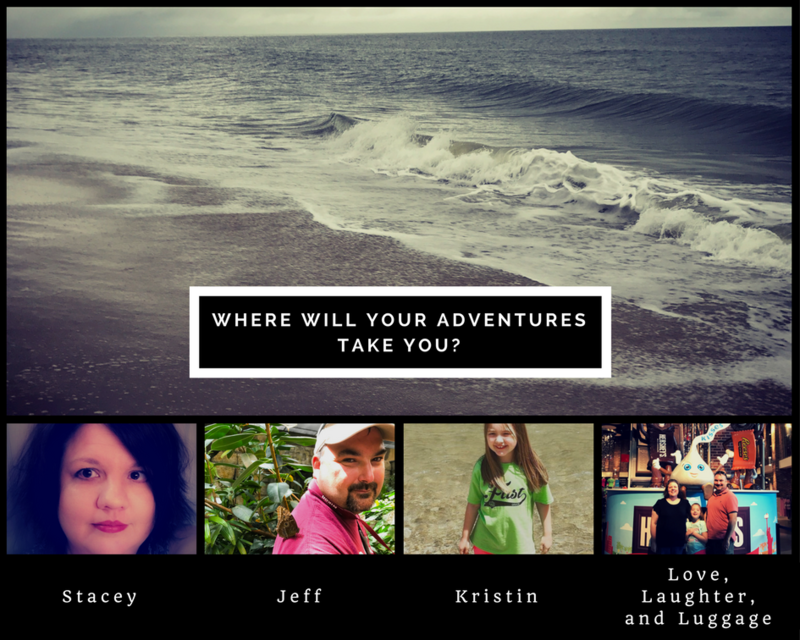 I am so glad we went, and I’d love to go again sometime. I agree; I can’t imagine what people went through during that war. I found my pulse racing sometimes just to look into the trench displays. 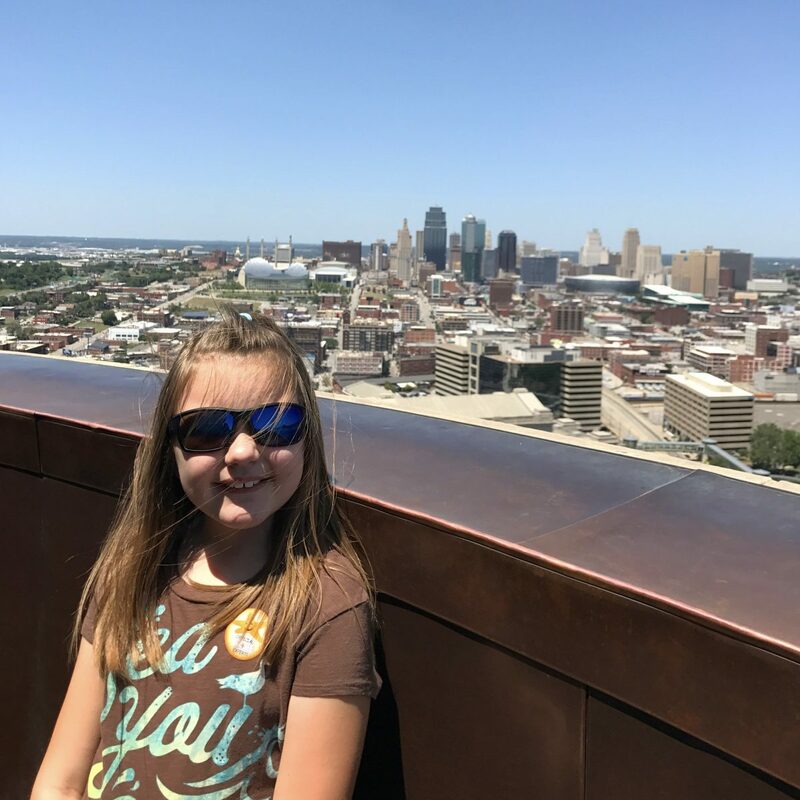 This museum is a KC must-do for sure!